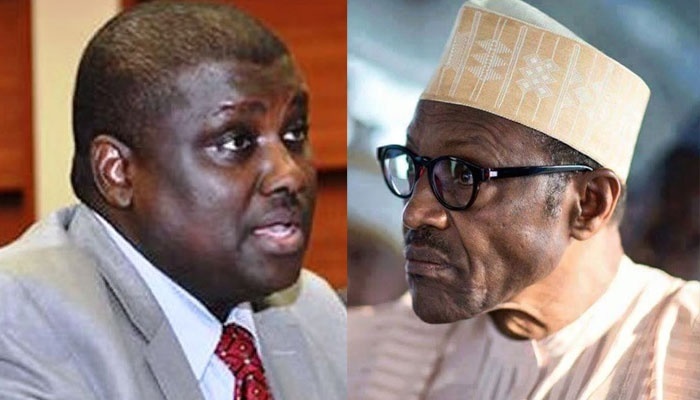 The presidency has described claims that Muhammadu Buhari’s administration invited Abdulrasheed Maina back to Nigeria as 'freshly minted falsehood'. Some comments have been made about the current administration's interest in Maina who had fled Nigeria after he was indicted for graft. But the presidency wants well-meaning Nigerians to discard the ‘falsehood’. A spokesman for the President, Garba Shehu, in a two-paragraph statement issued on Wednesday night in Abuja, dismissed the claim as ridiculous. The statement read: "The claim that the Buhari administration invited the wanted Abdulrasheed Maina back into country is a freshly minted falsehood. Nobody should believe that. "The family that made that claim simply wanted to be ridiculous. Please ignore them". The presidential aide, had on Tuesday, issued a disclaimer on a group-photograph of President Buhari, Senate President Bukola Saraki and a member of the House of Representatives, Ado Doguwa, being circulated in the social media in which Doguwa, was mistaken to be Abdulrasheed Maina. Shehu said: “There is a photograph all over the Social Media of President Muhammadu Buhari, Senate President Bukola Saraki and Honourable Ado Garba Doguwa Alhassan being mistaken to be the embattled ex-chairman of the Presidential Task Force on Pension Reforms, Abdulrasheed Maina. "Doguwa is the Chief Whip of the House of Representatives, representing Doguwa/Tudun Wada Federal Constituency of Kano State. "Doguwa represented the Speaker of the House of Representatives at the special Jummat prayers to mark the nation’s 57th year anniversary at the Presidential Villa weeks ago. "The Speaker could not attend the event because he is a Christian. Please be guided!". In 2012, the Nigeria Police accused him of misappropriating 100 billion Naira pension funds in connivance with others. The Civil Service Commission reportedly dismissed him for "absconding from duty". Subsequently, Maina was arraigned in absentia by the Economic and Financial Crimes Commission (EFCC), which declared him wanted in 2015. Mr Wilson Uwujaren, the spokesman of the anti-graft agency in a statement recently, said Maina remained on the commission’s wanted list. After he returned from self-imposed exile he was reinstated and promoted, but President Buhari issued an order that he should be sacked.